Thirty years ago, Nero d’Avola was largely confined to southwest Sicily, but today one thinks of it as Sicily’s flagship grape—something grown throughout Sicily since the beginning of time. But that’s not the case. 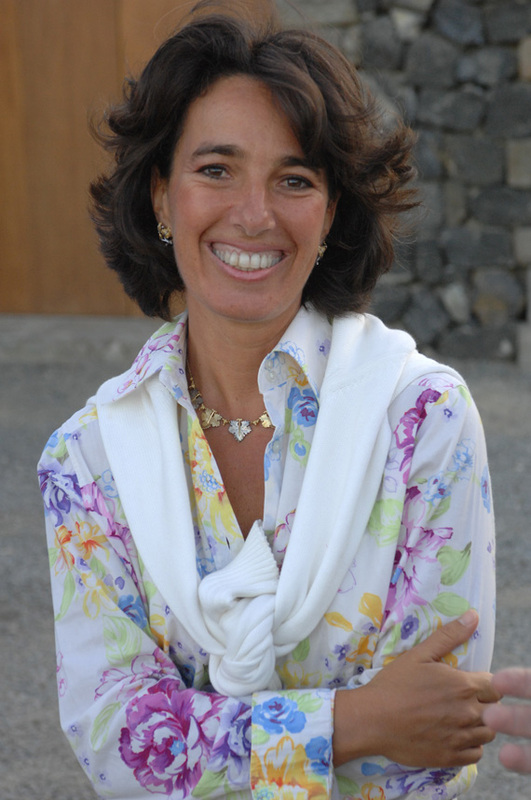 Donnafugata was founded in 1983. Did you plant nero d’avola then? My mother inherited the vineyard in 1970. She found already nero d’avola planted in the area. So she farmed it in the 1970s and 80s. Do you mean a variety of clones? There is not one clone. But there’s not a clonal selection yet. Is that being worked on? Yes, we’re working on that. Many viticulturists are involved in this experimental project. It’s coordinated through the regional government. For instance, we are involved in a project now that has experimental vineyards with four different biotypes of nero d’avola cultivated all over Sicily by many different wineries, to study which clones are more suitable for which lands. So those four clones are being planted in a variety of zones, including your estate? Exactly. Us, Planeta, and many other estates. It’s the corrnerstone stone of a big project. We planted in 2009, so it’s brand new. We’re going to have the harvest in two years. But now we’re studying already the ripening period, the different vegetation, everything—under control. What have we done in the meantime? We’ve selected vines to plant new vineyards from the population [of vines] of our area. If we wanted to plant a new nero d’avola vineyard, the only way to plant a homogeneous vineyard was to select vines from the very big population you could find in our area and in our own vineyards. The reality was that you could find vineyards with different clusters shaped in different ways, with different ripening periods, and so on. So we tried to select vines, but it wasn’t in a scientific way. If we solve the issue of clonal selection, we’ll be much more secure about single vineyards. But we already know that we can have nero d’avola wines that are very fruity, fresh, not dark or deep in color. And we can have nero d’avola that’s very concentrated and suitable for long aging. Yes, more concentration and color. Also, the age of the vineyard makes a very big difference. The yield per plant is also very important. Mille e una Notte is 800 grams per plant. Sedara is maybe 1.3 kilos, which is 50 percent more. This changes the profile of the wine completely, but this is good! Then we can give the consumer different styles of wine for different occasions and for different food. I understand if this confuses the consumer, however. In my experience, it’s amazing how variable nero d’avola is. It can be like juice—simple and quaffable—or it can have weight and personality. Exactly. What’s really surprising is also how versatile nero d’avola is when blended with other varieties. All of your wines are blended, correct? Do you have any 100 percent nero d’avola? 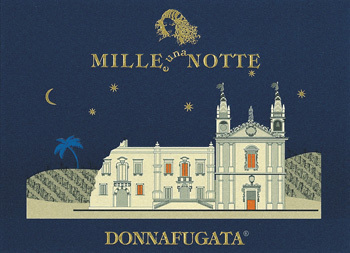 Mille e una Notte is 90 percent And Scherazade, which is not in the US, is 100 percent. But 90 percent isn’t 100 percent. Say a word about why your estate prefers blends. We believe in blends, because they give you the opportunity to have a wonderful wine every vintage. A perfect wine from the point of view of acidity, bouquet, no? Different varieties give more complexity and also the opportunity to balance your luck in one single, great wine. Is there one particular grape that goes best with nero d’avola? We have experimented with many. So many! Syrah is very nice, but also cabernet sauvignon. Tancredi, for instance, is nero d’avola/cabernet 70/30. Cabernet gives a mint note, which is difficult to find in a real Mediterranean grape variety. So it gives you a dialog between the two parts of wine, and that makes the pleasure. How would you describe a mediocre nero d’avola versus an ideal nero d’avola? I must think about the past. In the past, nero d’avola had no acidity because of the very huge yield. And it was easy to oxidize, maybe because it was harvested too late and sometimes the grapes were cooking in the sun. Nowadays, we are much more precise in the vineyards. We keep vegetation with a good green canopy so the plant can mature slowly and keep its acidity til the end of the ripening process. Then you have sugar, you have aromas, but you don’t lose acidity. What are the flavor components of a typical nero d’avola? Red cherry, also amarena, which is a very aromatic cherry. And plum. If you have a very juicy, fresh one, it’s raspberry for the younger style. So raspberry, cherry, plum. What is your ideal food pairing with nero d’avola? I would drink fresh and young nero d’avola with a nice pizza. And a stronger one with a lasagna or a nice grilled meat. Sounds good. Let’s go drink!